More than 25 years after I learned what my employees were calling me, I still have the nickname “Hurricane Ken” for how I once behaved at work. And to this day, the wind still blows from time-to-time. It’s embarrassing when it happens. So, I consulted my Executive Coach/Counselor, Jeni Bowen, on how to handle it. She worked with me for many sessions on many issues before this topic finally came to the surface. Jeni helped me identify that Hurricane emerges when I am experiencing some kind of frustration or surprise disappointment. Things like encountering behaviors contrary to my core values, or losing patience with people over some work matter. When that happens, my natural, knee-jerk reaction is to become overly aggressive. What these situations really call for, though, is assertiveness. Google “assertiveness vs. aggressiveness,” and you’ll get about 200,000 results. There’s a LOT to this subject – far more than I can provide here – but some of the best articles are listed at the end of this post, and you really should consider reading them, especially if you frequently find yourself erupting in frustration at others. Aggressiveness and assertiveness couldn’t be more different. The first is an emotional, confrontational, rude attack on others that ignores their opinions. Assertiveness, on the other hand, is a respectful, calm, but firm statement of facts and expression of feelings or opinions. And like any business skill, it can be learned and practiced. It’s critical to have a handle on this if you’re trying to build a great business. 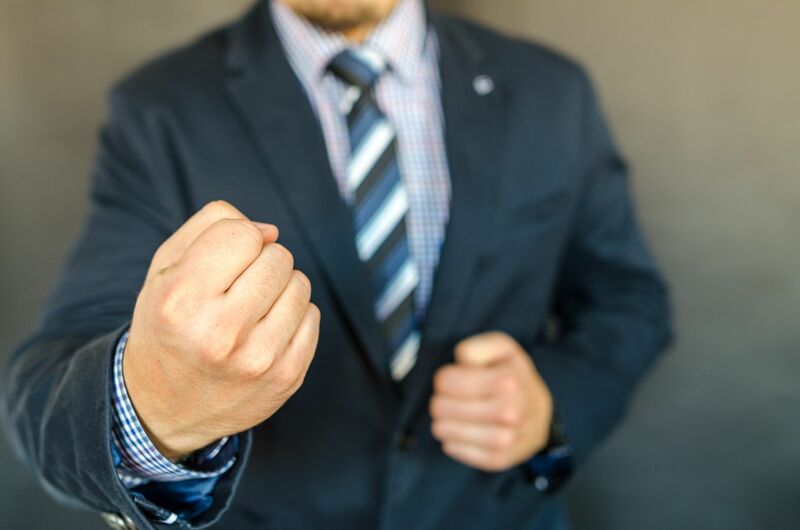 In any position where you must hold people accountable, it’s more productive to use an assertive approach that doesn’t cross over into aggression. You can’t create a great organization if you constantly have “Hurricane moments” that scare off your most talented people. With my coach’s help, I’m continuing to work on this myself. Jeni gave me a three-step process for dealing with frustrating situations more effectively. I sure wish I’d known this simple discipline years ago. I might have a different nickname! State the facts in an unemotional way. Share how these situations make you feel. Ask for the other person’s help in resolving the situation. It’s important, as a preliminary requirement that you begin to notice the triggers and warning signs that can lead up to an aggressive situation. When you see it coming, take a breath and think through the assertiveness formula before you speak. You might begin by saying, “May I say what I’m seeing here?” Then calmly state the facts without emotion. 2. State how the situation makes you feel. 3. Ask for their help in resolving the situation. Start by saying, “I need your help.” Then ask the person to share his or her ideas on how you can remedy this situation together. A bit kinder and gentler than an emotional outburst, don’t you think? By doing it this way, you are not attacking, which only makes people shut down or become defensive and doesn’t lead to the change you want to see. You are giving a calm, yet firm observation to start the kind of discussion that can help get you the results you want. It takes practice, so don’t give up if your first attempt at trying this method isn’t completely successful. Keep working at it; the results will be worth it.